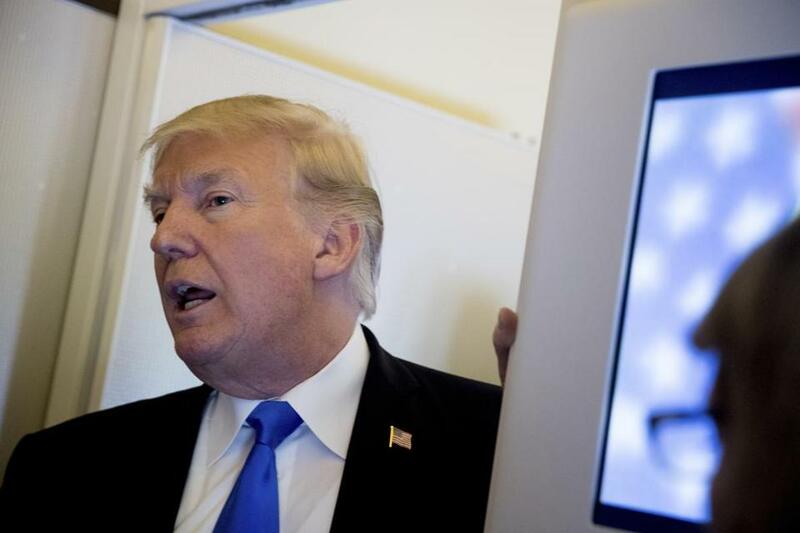 President Trump spoke to reporters Tuesday aboard Air Force One in the Philippines as his five-country Asia trip ended. Massachusetts US Senator Edward M. Markey said during a Senate Foreign Relations Committee hearing Tuesday that he worried that President Trump could order a nuclear first strike and plunge the country into a devastating war. “No one can tell the president no,” he said of Secretary of Defense James Mattis, Secretary of State Rex Tillerson, and John Kelly, Trump’s chief of staff. “Under existing laws, the president of the United States can start a nuclear war — without provocation, without consultation, and without warning. It boggles the rational mind,” said Markey, who has sponsored legislation that would prevent any president from launching a first strike. Thirteen cosponsors in the Senate have joined him, he said. 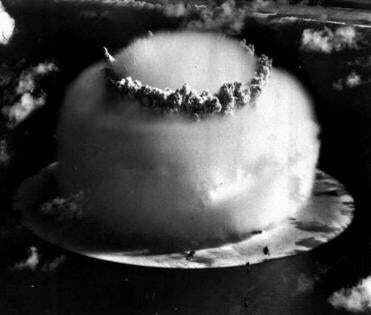 It’s urgent that Congress tighten the rules governing the use of nuclear weapons. “Absent a nuclear attack upon the United States or our allies, no one human being should have the power to unilaterally unleash the most destructive forces ever devised by humankind,” said Markey, who is a member of the Senate Foreign Relations Committee. The hearing comes at a time of high tension between the United States and North Korea. Trump has used unusually bellicose rhetoric for an American president. Some are concerned that war could be next. In August, Trump threatened North Korea with “fire and fury like the world has never seen.” The words eerily echoed a statement by President Truman after United States dropped the atomic bomb on Hiroshima. Then Trump said that statement might not have been “tough enough.” In a speech to the United Nations in September, he boasted that the United States could “totally destroy” North Korea. Experts say Trump has unchecked authority to launch a conventional or nuclear attack on North Korea. But one expert told the committee Tuesday such an order could, under certain circumstances, be blocked. A retired Air Force general testified that a presidential order to launch can be refused by the top officer at US Strategic Command if that order is determined to be illegal. Retired General Robert Kehler said the US armed forces are obligated to follow legal orders, not illegal ones. Kehler, who served as the head of Strategic Command from January 2011 to November 2013, said the legal principles of military necessity, distinction, and proportionality also apply to decisions about nuclear weapons use. The command would control nuclear forces in a war. Senator Ben Cardin of Maryland, the committee’s top ranking Democrat, asked Kehler if that means Strategic Command can deny the president’s order if it fails the test of proportionality and legality. It also might prompt a president to put a new general in charge to carry out his order, said Brian McKeon, a former acting undersecretary of defense for policy during the Obama administration who testified alongside Kehler.